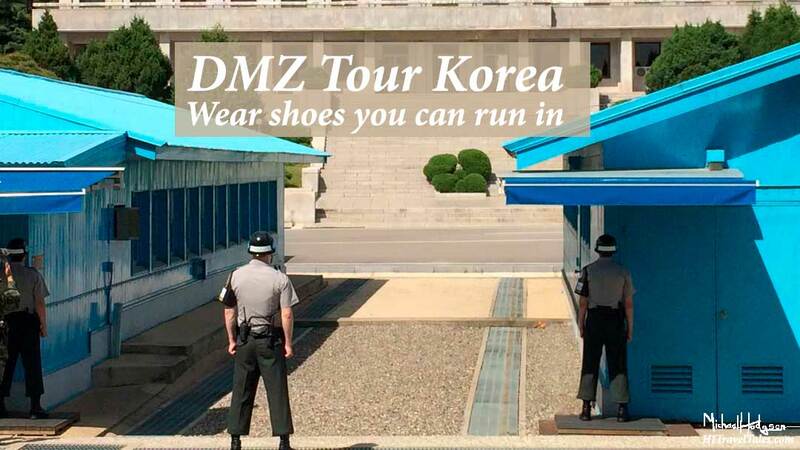 It’s an eerie feeling to be told you need to wear shoes you can run in when you visit Panmunjom on a DMZ Tour Korea in the Demilitarized Zone (DMZ) separating North and South Korea. True story. Although North and South Korea are not fighting at this time, events in 2015 left tensions high. Still, in 2018, with the Winter Olympics only about 40 miles from the “Military Demarcation Line” between the two countries, tensions at least for the time seem to be eased with joint North-South athletic teams. 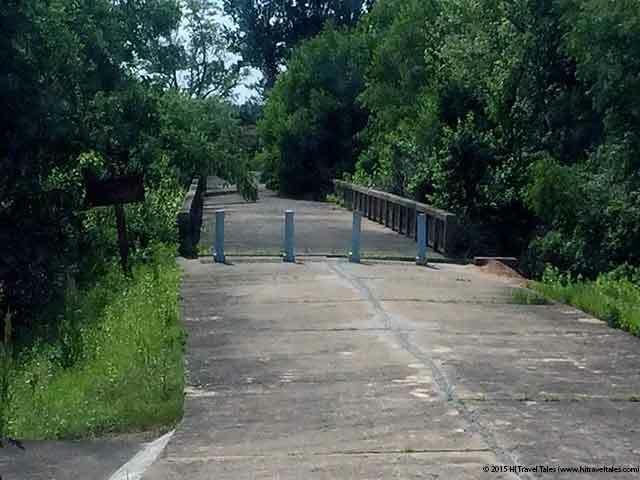 Why a so-called demarcation line and no border? The Korean War did not end with a peace treaty when fighting halted on July 27, 1953. In fact, an armistice agreement to just stop fighting is the only thing that was ever put in place. Meaning that the two countries and their allies are still effectively at war and have not agreed officially on a border. It’s an eerie feeling to be told you need to wear shoes you can run in when you visit Panmunjom on a DMZ tour in Korea. Look closely, and you can see the North Korean soldier, nicknamed “Bob,” standing just to the right of one of the pillars. This makes your visit to Panmunjom (also known as the JSA or Joint Security Area) and the DMZ Korea a particularly tense experience, not some jolly trot through Disneyland’s Adventureland. With so many travelers in South Korea for the 2018 Olympics, visits to the DMZ are likely higher than normal, although official numbers do not exist. 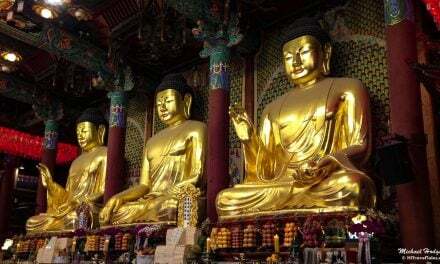 It is a popular place for visitors and tourists to the Korean peninsula. Rightly so, with the history lesson you get. When there, you are literally standing in a war zone, just steps away from what is considered the most heavily fortified and militarized border zone in the world. North Korean soldiers are on duty guarding their border just a stone’s throw from the South Koreans and the United States soldiers who are guarding their border. 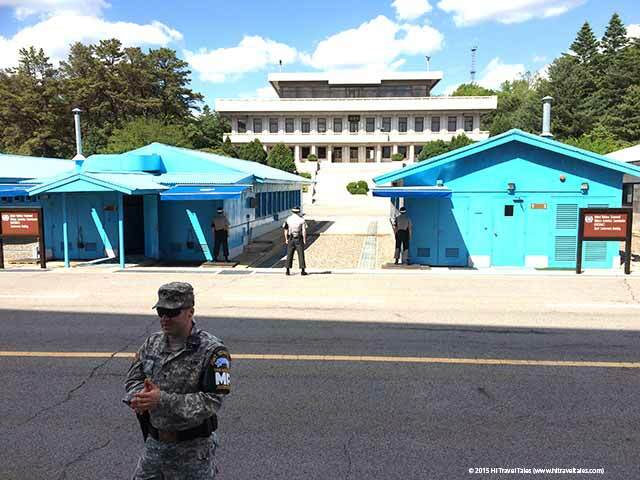 DMZ tour Korea: Anybody planning to defect? Here, the Panmunjom JSA Village straddling the Korean border. In the background, North Korea. The soldier in the foreground is addressing a tour. Does anybody have any sharp objects? Does anybody plan on defecting? HI Travel Tales had the opportunity to visit Panmunjom and the DMZ in May 2015, just days before Gloria Steinem and a group of women peace activists stepped onto the DMZ and just two months before two South Koreans lost their legs from land mines, which the South claims the North planted on the South side for that purpose. In November 2017, in a well-publicized incident, a North Korean soldier made a dash for the South with soldiers with the North hot on his heels. He was shot multiple times but made it to the south. 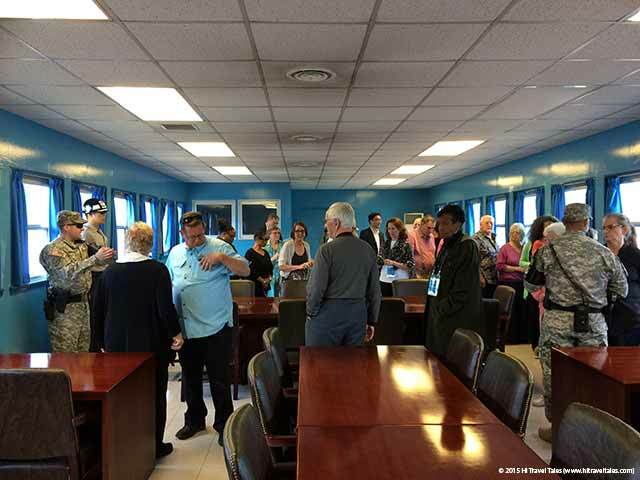 The trip and our DMZ tour Korea was a part of a “Revisit Korea” trip organized by the South Korean government and its Ministry of Patriots and Veterans Affairs, the first of its kind for families of U.S. MIAs in the Korean war. My uncle, Ara Mooradian , was a bombardier who was shot down and bailed over land in the bloody air battle of Black Tuesday on Oct. 23, 1951. He and half of his crew was never found. Ara Mooradian is one of a small number of MIAs who was thought to have been taken to a Soviet prison. With North Korea’s borders basically shut to U.S. recovery efforts since 2005, we may never know what happened. Nor will many thousands of other families of MIAs. But a visit to the country was enlightening, as was a somber visit to the DMZ Korea. And it brought myself, Therese Iknoian, and my husband Michael Hodgson not only closer to what my Uncle Ara and other MIAs and the fallen fought for, but to my uncle himself. 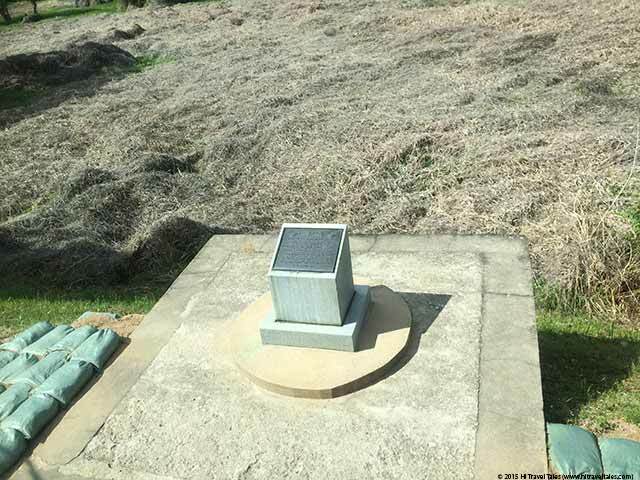 The table sits on the 38th parallel in the DMZ, with the middle marking the border between North and South Korea. Note microphones that record every word. 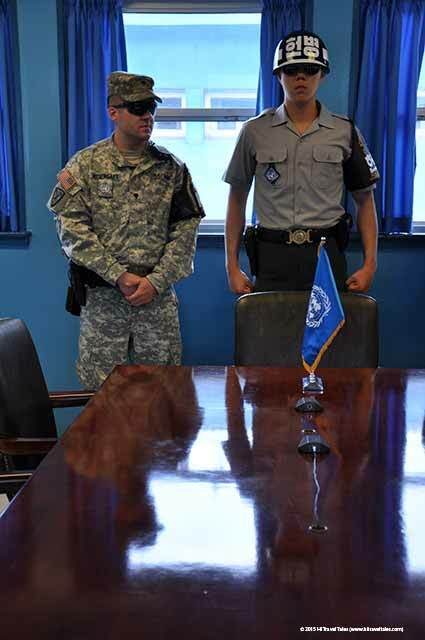 We stood at the table that straddles the border in a JSA Panmunjom meeting room in the DMZ Korea – the same table where the truce was signed in 1953 and the same table where in August 2015 North and South Koreans were facing each other to try to hammer out a non-military solution to their heightened tensions. Which they apparently reached in late August. But we’ll see how that goes. I for one was nearly afraid to touch the glistening wood table as our tour guide looked on, telling us to feel free to take photos of anything we wanted. 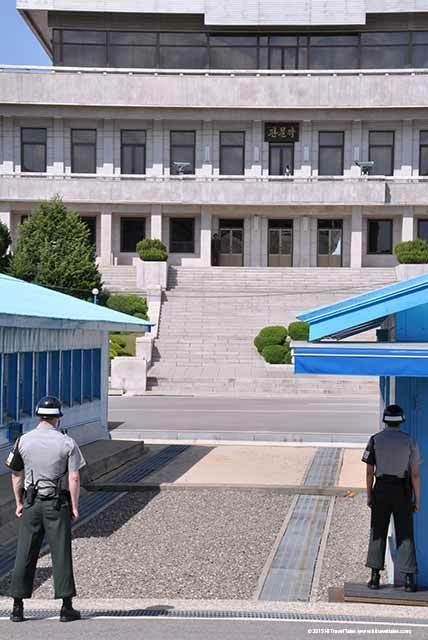 In the main Panmunjom building in the DMZ Korea there is a door that enters/exits to the South and a door that enters/exits to the North – there is in fact a South Korea guard standing in a ready-to-fight tae kwon do stance a few feet in front of the door to the North. Mistakenly step a few inches behind him? That friendly solider-tour guide with an eye on dozens of people in the room issues a commanding bark: “Ma’am. Please remain in front of the solder!” So you stand next to the stone-faced solider snapping photos feeling a tad bit awkward. Ma’am, please remain in front of the soldier. 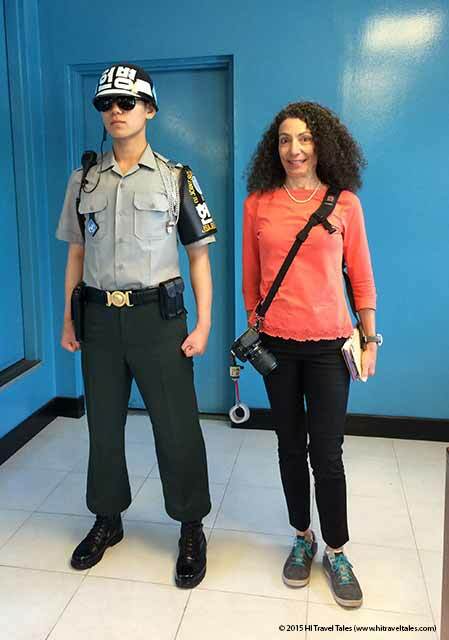 Our own Therese Iknoian stands next to the South Korean guard, in front of the door to North Korea. Technically, she is standing “in” North Korea. The MDL, or Military Demarcation Line, runs through the middle of Panmunjom, the village of blue buildings in the middle of the DMZ. Look out the side window and you realize you are actually standing in North Korea. The MDL is the 38th parallel that divides North from South. It is 241 kilometers long and the DMZ is four kilometers wide, two kilometers to the north and two to the south. But in Panmunjom you stand on the MDL and can step into North Korea. You can look at the concrete curb-like strip that marks the border. You get to stare across an area not much wider than a wide urban boulevard, watching a North Korean guard slither from behind one building column to another – U.S. soldiers call him “Bob” since they say they never see any changing of the guard although they know it happens. That slightly raised “curb” in the middle is the border separating the Koreas. 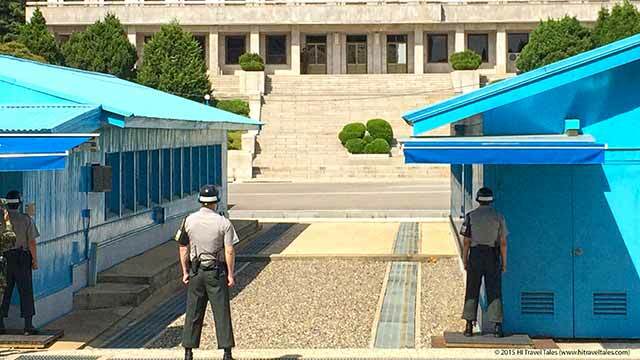 Three South Korean guards on the South watch the North without a faltering gaze: Two stand with half their bodies behind a building for safety in case of an attack. Indeed, an intense reminder to tourists (about 15 groups go through a day) that you must wear shoes you can run in. And one soldier (did he draw the short straw?) 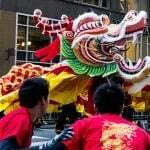 stands square and fully exposed between the buildings facing north in the ready tae kwon do stance. Another stop on the DMZ tour looking at the Bridge of No Return. A DMZ tour must be pre-booked since the tours are very popular and also limited. You take a bus to the JSA building, listen to a briefing, hear those three questions, and then began the tour. Depending on the kind you book, you will be taken by bus to a lookout where you can see across both Koreas and into the two country’s “propaganda villages” in the DMZ, go to the Dora Observatory, travel through the DMZ on a bus, past the “Bridge of No Return” where soldiers were repatriated (and where defectors have made their move in a sudden sprint) and, in some cases, to what is called the Third Infiltration Tunnel (you better not be afraid of small spaces). Along the route on the bus, keep an eye out for telephones on a pole with signs that say “Defector Phone.” Yep, really. On the sign are instructions in several languages to ensure anybody who wants out of North Korea can get out and can get help quickly. Upon leaving, you find yourself taking a deep breath and finally smiling again. 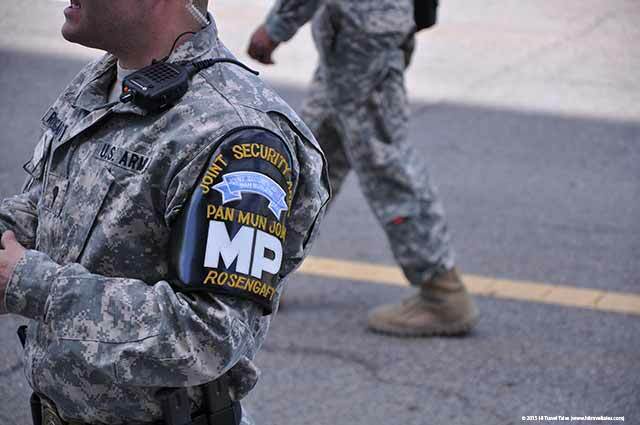 HITT Tip: There are a lot of DMZ tours to choose from, but the most highly recommended is a USO DMZ tour run by Koridoor Tours. Any DMZ tour is an all-day experience with the travel to the area about 55 kilometers north of Seoul. Pay attention to the dress code. 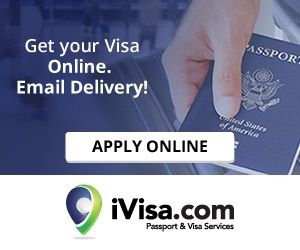 Do NOT forget your passport. Do leave time to visit the gift shop at the JSA. Oh, and don’t drink alcohol for about 12 hours before you go. Heads up! 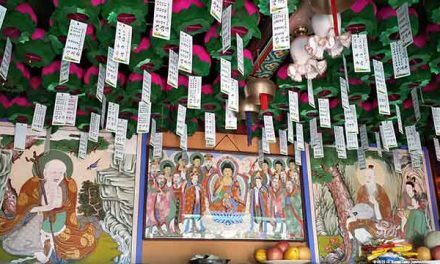 This information on DMZ Tour Korea was accurate when we published it on HI Travel Tales, but, as we know, traveling is all about changes (and inflation, sadly). 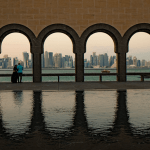 Please be sure to confirm prices, transportation schedules, hours of operation, safety and health considerations, request for perfect weather during your entire visit, and any other important details before your adventure. 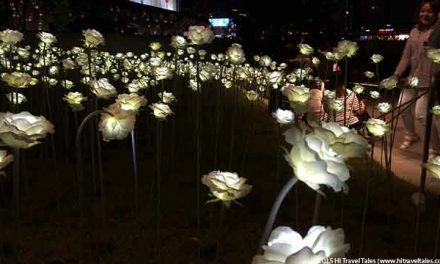 Seoul Airport layover: What to do?